Searching for Motorcycle Insurance Portland, OR? Got a passion for motorcycles? Insuring your bike with Milt Marcy Insurance, you can save up to 15% on your auto insurance. At Milt Marcy Insurance, we make it easy by working with the best motorcycle insurance carriers in the country, like Progressive Insurance, the top carrier when it comes to motorcycle insurance. You can ride easy, knowing your Milt Marcy motorcycle insurance policy has you covered. At Milt Marcy Insurance, we will build a customized policy, specific to your needs. Our program can include full replacement cost Accessory Coverage, Comprehensive and Collision Coverage, Bodily Injury and Property Damage Liability, Medical Payments, Roadside Assistance and more. Give us call today and we would be happy to discuss your options! 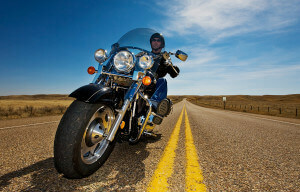 Looking for a specific type of motorcycle insurance? Milt Marcy Insurance has many options for insurance needs. Whether you need coverage for motocross insurance, dirt bike insurance, scooter insurance, classic motorcycle insurance or insurance for trikes, we have an option for you. 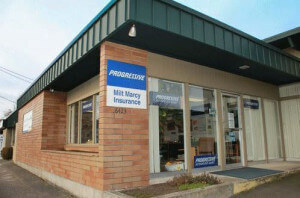 Give us a call and let us show you why so many in the Northwest insure their motorcycles with Milt Marcy Insurance. Summer is around the corner and thoughts of riding around town on a motorcycle may have crossed your mind. Whether you just bought a motorcycle or are a veteran rider, you might have a few questions about protecting your bike. What’s liability insurance? Do I need Comprehensive insurance? How can I make sure my custom chrome is covered? If you’ve added some serious chrome to your bike, gotten a custom paint job, or installed a GPS, consider additional accessory coverage. For example, Progressive usually includes $3,000 in accessory coverage when you purchase Comprehensive or Collision coverage. You also can buy more coverage up to $30,000 worth. If you like taking long rides into the country and are worried about breaking down in the middle of nowhere, consider Roadside Assistance insurance. 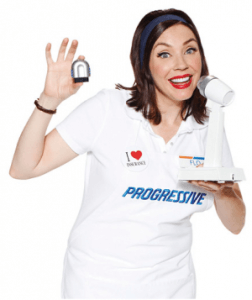 Progressive also offers coverage that will pay up to $500 for lodging, transportation and food if your bike has a mechanical breakdown more than 100 miles from home. Most customers can add both coverages to their policy for just $15 yearly.